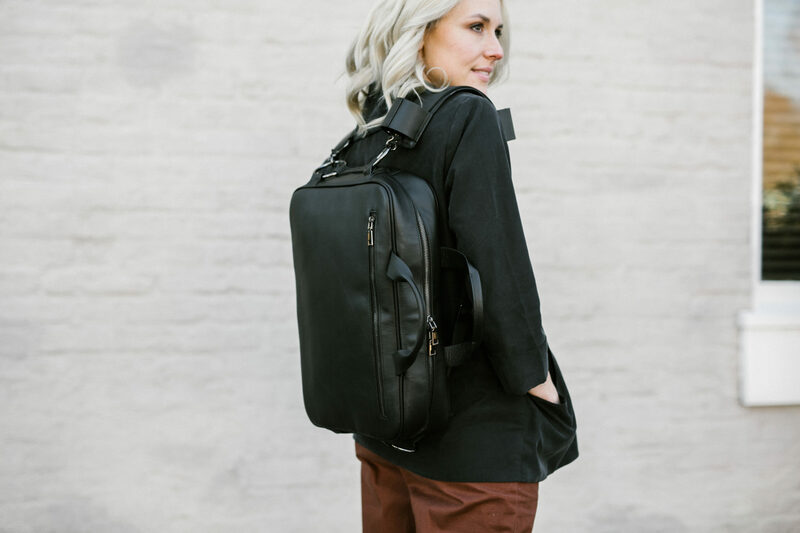 Meridian is a convertible messenger bag and backpack that allows you to easily transition between backpack and over-the-shoulder carry, simply by dropping a shoulder strap or slinging another on… without taking the bag off your body. The bag is designed with one continuous strap that can be adjusted to sit on a shoulder or evenly distributed on both. This patented design makes it possible to reach things in your backpack without removing the bag from your body, equalizes weight between both shoulders, eliminates the daily struggle of locating things in a hurry, and functions perfectly to match any itinerary. Carrying your personal belongings is easier than ever with this stylish, convenient and comfortable solution. Using a system of rings, the transition process creates one strap or two, as needed, and lets you keep the bag on while you transition between styles — so your gear is secure and safely attached to you at all times. This bag is perfect for commuting, cycling, urban transit or airplane travel. Wearing two straps will prevent a harsh shoulder pull, which makes it better for your back and shoulders, and it is doctor recommended. The weight is also auto-balanced between both shoulders to create a floating effect, which prevents “jerking” from left to right when running or walking. 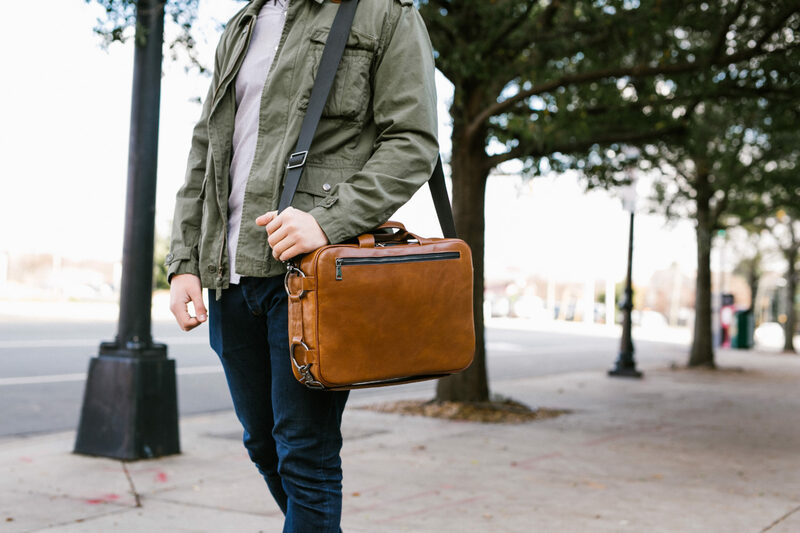 Wearing one strap lets you access all of your belongings easily and quickly, and the messenger style offers a more professional look. The simple, professional one-shoulder style is always ready when you are. Quickly grab-and-go with this symbol of corporate success. Hold both handles for a classic, professional look. 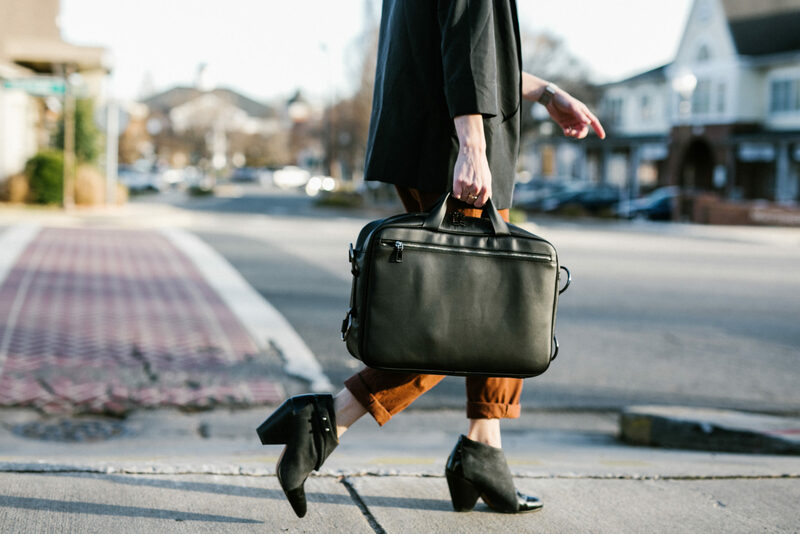 For some working professionals, a briefcase is utilized five days a week and always on-hand when meeting people for the first time. 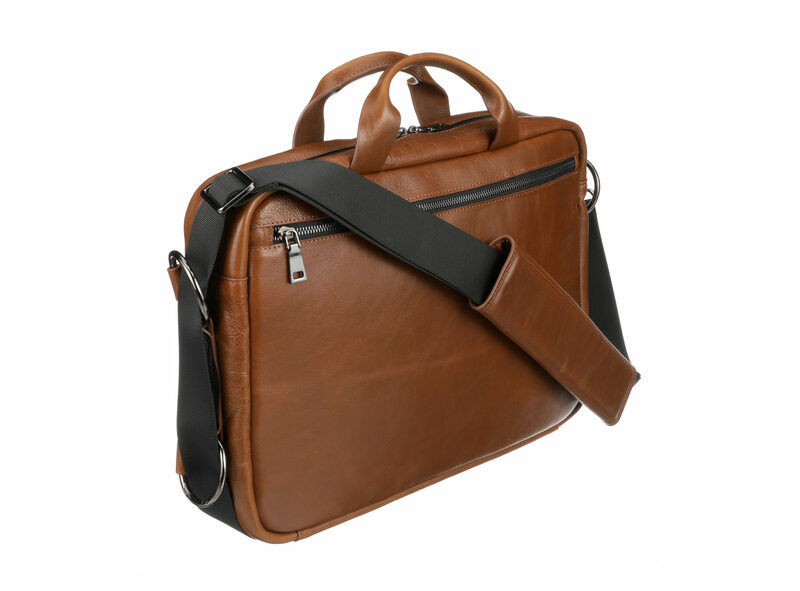 Your briefcase can wordlessly define your personality and work ethic in one moment. With Meridian, you can seamlessly transition from your classic, corporate look to your casual, after-work agenda. 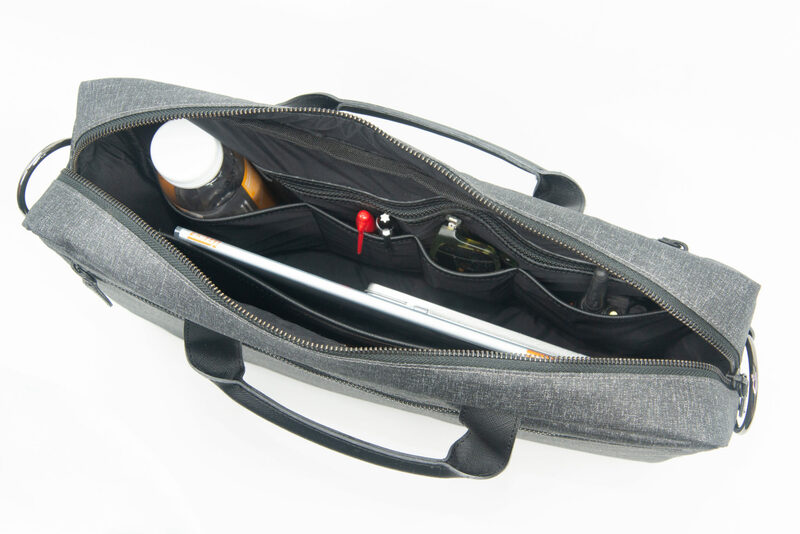 The main compartment includes four internal organizing pockets, a neoprene sleeve for electronics or notebooks, and a zippered privacy pocket. Meridian bagpacks have the perfect number of chambers to keep tablets, notebooks and other belongings organized and safe. The bag is equipped with a dedicated zippered TSA laptop compartment that fits most 15 inch laptops and under. It is padded and carry-on ready. Available in brown full-grain leather, black full-grain leather and graphite poly coated nylon, the Meridian bagpack is equipped with gunmetal coated metal clips and rings, and YKK zippers. Removable, non-slip shoulder pads allow for comfortable transitions. The bag is very lightweight to keep strain off of the shoulders and back.